You contact us to request office storage, either as a stand-alone service or as part of a business moving plan. We’ll explain the amenities available in our state-of-the-art warehouse facilities and provide a free cost estimate. At our secure warehouse location, we’ll carefully inventory, pad-wrap, and place your office furniture in secure storage vaults assigned just to you. We’ll safeguard your property in our heavily monitored facilities for any length of time. Just let us know when you’re ready to receive your furniture, and we’ll arrange delivery! 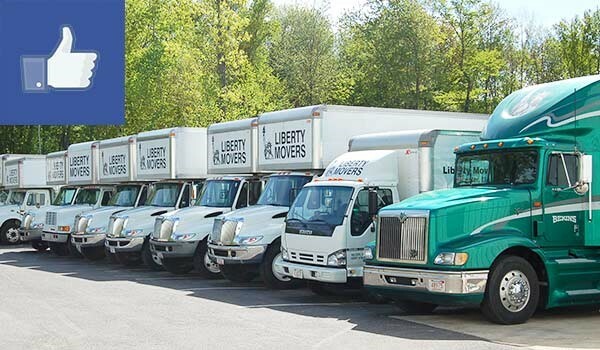 By working with Liberty Movers, you get more than just reliable office furniture storage—you get access to a full suite of dependable business moving services. So if you’re storing office furniture as part of a relocation, ask about our modular workspace installations! We can take down, store, and set up your office furniture so you won’t have to worry about a thing. From basic furniture storage to full-service commercial moving, packing, and storing, Liberty Movers is the BBB-accredited company you can count on for all of your Worcester storage needs. So don’t delay—contact us by phone or complete our online form now to request your free, no-obligation cost estimate!